When you are enjoying your day at Universal Studios Volcano Bay you are going to want to share those photos on Facebook with all your friends. 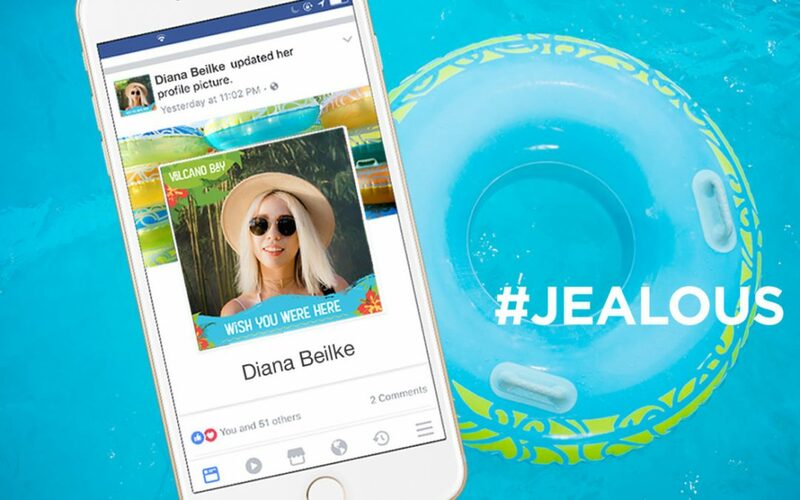 If it’s relaxing on the tropical sand beach or conquering one of the water slides at Volcano Bay, you are going to want to post away on Facebook for all your friends to see. Universal Orlando Resort has Free Volcano Bay Facebook Frames. These cool Facebook frames are perfect to capture and share your Volcano Bay adventure.